i. Prime Minister Narendra Modi has launched Ayushman Bharat - Pradhan Mantri Jan Aarogya Yojana from Ranchi, Jharkhand. Under this scheme, over 10 crore families will be provided health assurance worth five lakh rupees each, every year. ii. This is the world’s largest government-funded healthcare program targeting more than 50 crore beneficiaries. The scheme will provide cashless and paperless access to services for the beneficiary at the point of service. i. Opposition leader Ibrahim Mohamed Solih won the Maldives' presidential election, a surprise defeat for President Abdulla Yameen. Results released by the Elections Commission showed Solih had secured 58.3% of the popular vote. ii. The poll is being closely watched by regional rivals India and China, who are jostling to influence Indian Ocean nations. The European Union and the United States, meanwhile, have threatened sanctions if the vote is not free and fair. i. The BRICS' New Development Bank has approved a $525-million loan for infrastructure projects in India. The loan will be used by the Indian government for on-lending to the Madhya Pradesh government for rehabilitating major district roads with a total length of about 2,000 km. ii. The loan aims to improve connectivity of the rural interior with the national and state highways. i. Global research agency Fitch has raised India’s growth forecast for the current fiscal to 7.8 per cent from the earlier 7.4 per cent. However, forecast for the next two fiscal, 2019-20 and 2020-21, have been shaved by 20 basis points (100 basis points means 1 per cent) to 7.3 per cent. ii. Fitch’s latest projection for the current fiscal is higher than what is estimated by the Reserve Bank of India and even the Government. While the RBI’s estimate is 7.4 per cent, the Government feels that it could be 7.5 per cent. However, the International Monetary Fund (IMF) cut its projection to 7.3 per cent from 7.4 per cent. India Ratings too lowered its growth projection by 20 bps to 7.2 per cent. 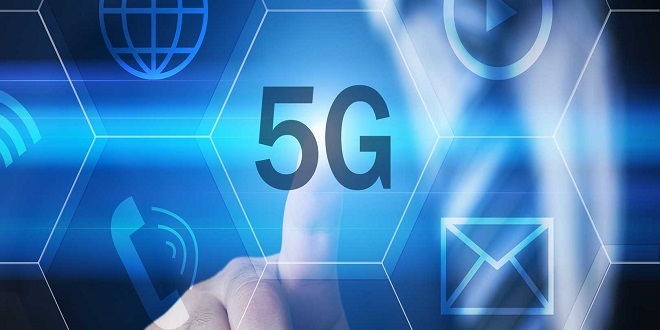 i. State-run telecom firm BSNL has inked a pact with Japan’s Softbank and NTT Communications to roll out 5G and internet of things (IoT) technology in India. BSNL will look at collaborating with Softbank for its satellite constellation which will have around 900 satellites. ii. was launched in India after seven years the technology was available in other foreign markets and 4G services after four years’ lag but according to BSNL CMD Anupam Shrivastava 5G will be launched in India in 2020 as soon the standards are freezed by ITU. i. Prime Minister Narendra Modi has inaugurated a new airport at Jharsuguda, which will attract investors to the mineral-rich area. ii. The Jharsuguda Airport has been developed by the Airports Authority of India in collaboration with Odisha government at an estimated cost of Rs 210 crore, with Rs 75 crore contribution from the state. The airport has been developed under the Centre's UDAN scheme. · Suresh Prabhakar Prabhu is the currently serving as the Minister of Commerce & Industry and Civil Aviation. · UDAN (Ude Desh Ka Aam Nagrik) is a Regional Connectivity Scheme. · Naveen Patnaik is the current Chief Minister of Odisha. i. Prime Minister Narendra Modi inaugurated the Pakyong Airport in Sikkim on September 24, nine years after the foundation stone was laid. The airport is the hilly state's first and only airport. Currently, the nearest airport for the people of Sikkim is 124 kilometre (km) away in Bagdogra, West Bengal. ii. The airport is spread over 201 acres. The foundation stone for the greenfield airport was laid in Pakyong in 2009, which is around 33 km from Gangtok, the state capital. The airport is located around 60 km from the Indo-China border. It is constructed by the Airports Authority of India (AAI). The project cost Rs 553 crore. i. Andhra Pradesh has topped the charts among States in terms of “Ease of Living Index” rankings launched by the Ministry of Housing and Urban Affairs (MoHUA). It was followed by Odisha and Madhya Pradesh. ii. The three States were awarded the three best performing States under Atal Mission for Rejuvenation and Urban Transformation (AMRUT) at the National Dissemination Workshop on Ease of Living Index, 2018. · It was decided in June 2017 to rank 116 cities based on the liveability parameters. · The MoHUA released the first ever ‘Ease of Living Index’ covering 111 Indian cities on 13 August 2018.
i. India successfully conducted an interceptor missile test off the Odisha coast, achieving a major milestone in developing a two-layer Ballistic Missile Defence system. According to Defence sources, the interceptor was launched from Abdul Kalam Island of the Integrated Test Range (ITR). ii. This Prithvi Defence Vehicle (PDV) mission is for engaging the targets in theexo-atmosphere region at an altitude above 50 kilometres of the earth's atmosphere. Both the PDV interceptor and the target missile were engaged successfully. i. In Badminton, Indonesia's Anthony Sinisuka Ginting beat Japan's Kento Momota to take the Men's singles China Open title in Changzhou. Spain's Carolina Marin beat China's Chen Yufei to take the women's singles title. The 3rd seed, Momota who took the Japan Open title on home ground last week, was beaten by world number 13th Ginting. ii. Ginting last beat Momota at the Asian Games in Jakarta last month. Top Indian shuttlers P.V.Sindhu and Kidambi Srikanth lost their quarter-final matches earlier, drawing curtains to India's campaign at the China Open. i. Former BCCI president Biswanath Dutt, best known in the Indian cricket fraternity as Jagmohan Dalmiya’s mentor, passed away aged 92 after suffering from acute lung infection. Dutt was the BCCI president in 1989 after a six-year stint as the vice-president of the parent body from 1982-88.
ii. He is survived by his daughter and son Subrata Dutta, who is the senior vice-president of All India Football Federation. Having served IFA in different capacities in his tenure from 1963-1975, Dutt began his career in cricket administration as CAB(Cricket Association of Bengal) secretary in 1977 and became president in 1982. · Rahul Johri is the Chief Executive Officer of BCCI. · CK Khanna is the present interim president of the BCCI. i. Renowned filmmaker Kalpana Lajmi passed away in Mumbai. She was 64. Lajmi, a director, producer and screenwriter, was known for working on real subjects. She was known for her women-oriented films like "Rudaali", "Daman", "Darmiyaan". ii. Lajmi's last movie as a director was "Chingaari" in 2006, based on a novel "The Prostitute and the Postman" by Bhupen Hazarika, who was her partner. Meanwhile, condolence messages are pouring in from the Bollywood world grieving the demise of Lajmi.